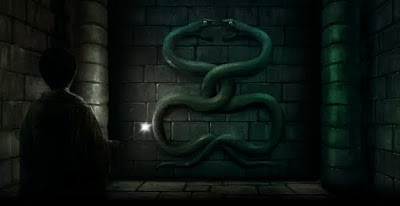 The last chapters of Harry Potter and the Chamber of Secrets have arrived on Pottermore, with Chapters Twelve to Eighteen now ready for you to explore on Pottermore. Experience Professor Lockhart’s Valentine’s day festivities, survive the spiders in the Forbidden Forest, and of course, confront what’s hidden within the Chamber of Secrets. As well as these latest Moments, there is also new exclusive content from J.K. Rowling on subjects including ghosts and the history of the Chamber of Secrets. We hope you have a fantastic time exploring these concluding chapters on Pottermore. If you have Twitter andFacebook accounts, why not retweet and share this news with your friends?